Looking to Up Your Company’s SEO Game in the New Year? Follow These 5 Tips to Success! 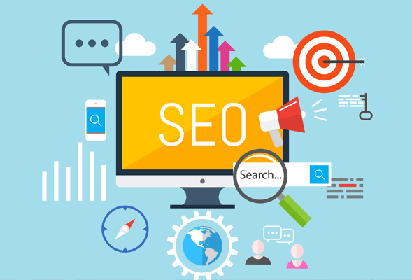 With the start of the new year, now is a great time to re-evaluate your search engine optimization strategy and make some changes for the better. Take a look at these 5 great tips for how you can improve your website’s SEO in 2017 and see some real results! One of the easiest ways you can improve your website’s search engine optimization is by making your website responsive, allowing it to be mobile-friendly on all devices. Not only does this change make it easier for the user, but it can also help your search engine ranking as well. Many companies don’t consider how much web design can affect their business, but an out of date design can be a huge turn off to potential customers when they visit your site. With the growth of responsive design, most content management systems, such as WordPress and others, are making it easier for businesses to make the switch. Be sure your content is engaging, original, and relevant in regards to trends in your own industry and the marketing world so you’ll get the most out of your efforts. Fun things such as infographics, funny posts, and videos are also great ways to create fresh content regularly. And posting about local news and events (much like we’ve done through our Cleveland tag) is another worthwhile way to drive visitors to your site. Additionally, using YouTube to share a video can help you to improve your SEO even more. While many people know that YouTube is owned by Google, what they might not know is that YouTube is the second largest search engine in terms of the number of queries. Tip 3: Continue to Take Advantage of Social Media! As social media continues to flourish in the marketing industry and just about everywhere else, it’s important to be aware of the many ways you can use social media to boost your SEO efforts. You may be surprised at how many people actually rely on social media, not just for personal use but in researching companies they may want to do business with. Your business’ social media presence could be a make or break feature for these potential customers. For instance, advertising on Facebook can be an easy and effective way to increase your online presence and generate more leads to your business’ website. However, don’t forget about the fun side of social media too, including things like Snapchat filters, Twitter chats, and more! One of the most important aspects of SEO-friendly websites is remembering the user. As we’ve discussed in the past, being user-friendly is one of the basic essentials to having an SEO-friendly website. Not only is having a responsive design important (as we mentioned in our first tip), but other basic page design features such as bullet points, short paragraphs, and images help to break up copy and make your content more readable. Load time – Studies have shown that visitors are less likely to engage on a page if it doesn’t load quickly enough. So, if it takes longer than 10 seconds for your page or images to load, you could be losing potential customers. Navigation – A messy navigation or non-searchable site are two other easy ways to turn off viewers from your site and drive them elsewhere. Readability – Make sure the user can read text without difficulty by using contrast through font size for headers, selecting easy to read fonts, and avoiding obnoxious colors. If you don’t utilize link building, you really are missing out! No matter your industry, link building should be an essential part of your SEO strategy. Link building involves reaching out to external online sources to try and get them to link to a page on your site. By being linked on other websites, your standing on search engines is elevated and your site is seen as a more reliable source. As easy as it may seem, there are definitely some guidelines to the process to make it as worthwhile as possible. But in the end, you could increase your company’s popularity and exposure both on search engines and with the general public. Looking for SEO Help for Your Business in 2017? Ready to boost your SEO efforts this year? Contact Sixth City Marketing today to learn how we can increase conversions and deliver real results for your website!